"The Chalet Hotel Abendrot has nice big rooms and lovely bathrooms. There's a little bar next to the restaurant and is the perfect starting point for a first drink before exploring Ischgl's legendary après scene. Recently built in 2010, the Abendrot brilliantly located in the centre of the resort. 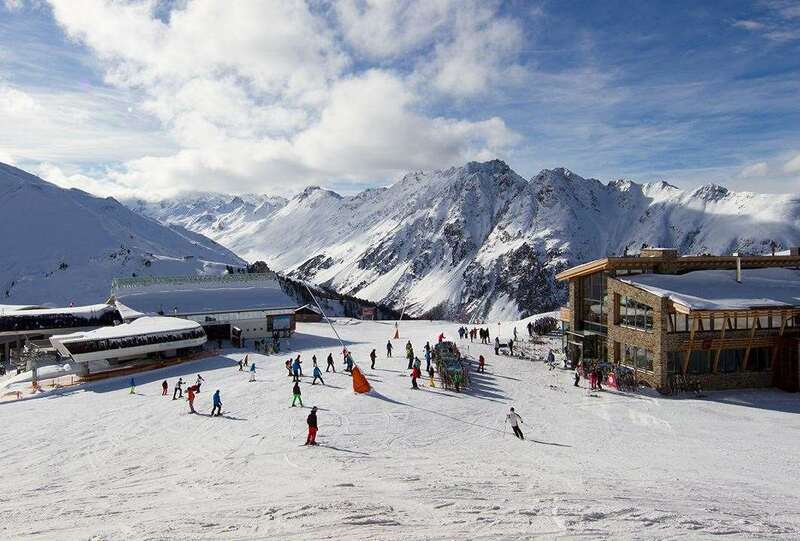 Nowhere else in Ischgl will you get the comfort of the Abendrot at such good value." Welcome to Chalet Hotel Abendrot. After many years of repeated guest requests we are delighted to offer a Chalet Hotel in Ischgl – and this one is very special! The Chalet Hotel Abendrot has been built specifically for our guests and has it all, from a modern and stylish interior to a location that is hard to better anywhere in the Alps, all combined with a warm and professional welcome from our Abendrot hotel team! Hotel Abendrot is ideally situated between two of the main ski lifts, the Silvrettabahn and the Fimbabahn (both under 400metres). There is an indoor ‘travelator’ for Fimbabahn that moves skiers for at least half the distance. At the end of the ski day a cruisy red run, imaginatively named No 1, brings you to within 50m of the chalet Abendrot. The bedrooms all offer an Austrian twin bed, flat screen TV, en suite shower or bath and wc and most also have either a balcony or a terrace. Some of the larger rooms also offer a sofa-bed for a third guest and carry a small supplement when only two guests share. 3 course evening meal with a choice of 3 options per course which starts with a glass of prosecco and including wine & tea/coffee to finish on 6 days. Great hotel, centrally located, large rooms complete with toiletries, hairdryer and bath robes. Wellness area included two saunas, steam room and showers. Food was great with good choices. Staff friendly and helpful. Skiing was super as we were lucky to have great conditions. Ski guiding was also good fun. Plenty of apres ski for all tastes. Travel day was a Sunday which made transfers very swift. Overall we had a fabulous week.